It took me a while to compile the photo’s I took from our trip to Seoul, Korea earlier this month. The weather there was a bit too chilly [yes, Canadian’s could hate the cold too!] but we had a lot of fun shopping and enjoyed the Korean cuisine immensely. 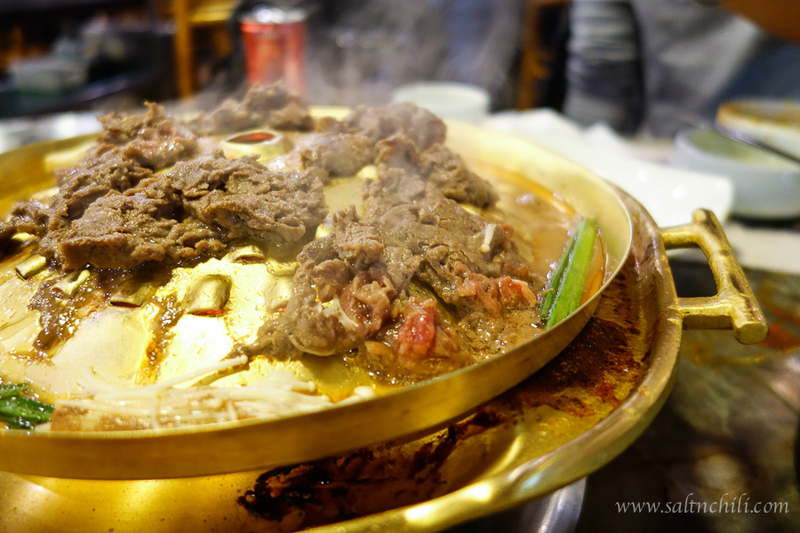 We arrived at our hotel in Seoul in the late afternoon, we were famished so we quickly dropped our bags off and grabbed a cab to Gangnam for a quick bite. We stumbled on the Korean fast food chain, Pomato, and we knew right away it was a good place to fill our stomachs with a light snack before our Korean BBQ dinner we had booked for later that evening. 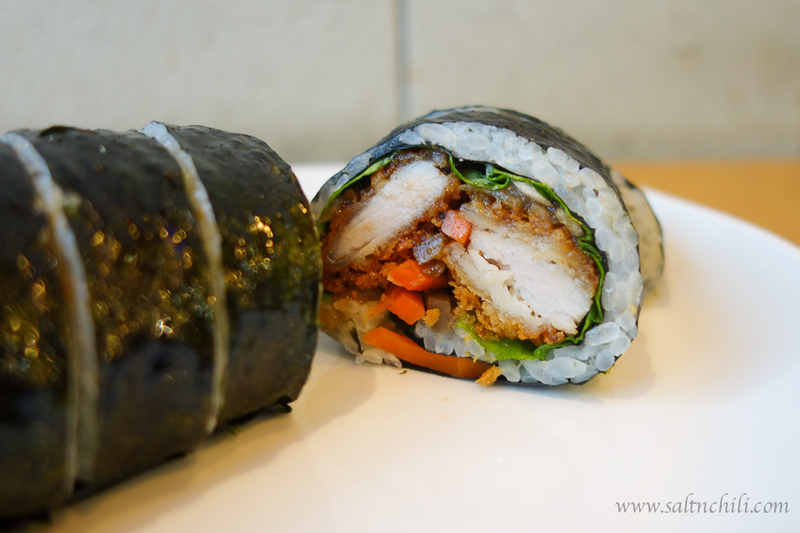 We had a Pork Sirloin Cutlet Rice Roll and a Kimchi Pork Stew to share and both were pretty good. I loved the idea of self-serving side dishes and soup, that meant I could eat all the kimchi I wanted! Oh, and this place is open 24 hours! 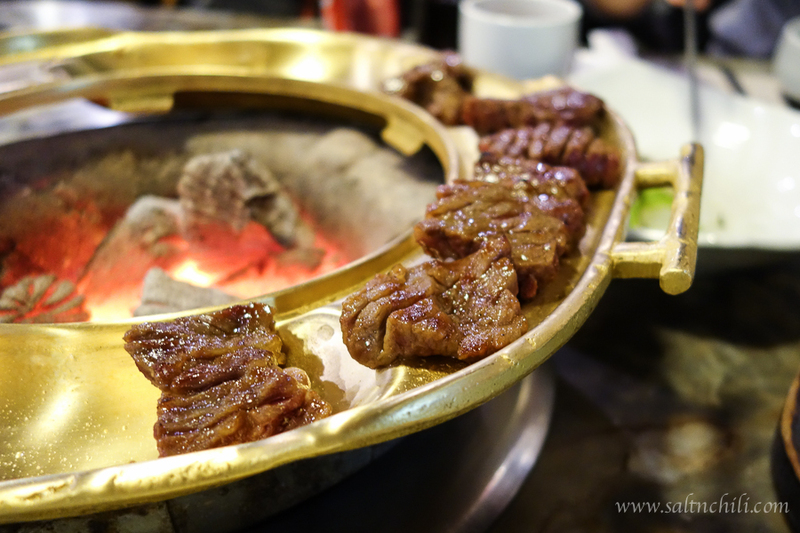 A Korean friend of my dad’s recommended us to Samwon Garden for authentic Korean BBQ when we visited Seoul 2 years ago. It was so good that I took hubby back this time around. Samwon Garden has 2 locations, both of which are in Gangnam. I recommend going to the Main restaurant for a more traditional atmosphere. There is a beautiful garden just outside the restaurant so you can take in the beautiful scenery as you enjoy your Galbi and Bulgogi. We ordered 2 servings of Korean Marinated Beef Short Ribs, a plate of Marinated Sliced Rib Eye and a Spicy Beef Short Rib Soup. Be warned that ventilation at the main branch isn’t that great, all our clothes ended up smelling like BBQ afterwards. I remember the Daechi branch had much better ventilation. 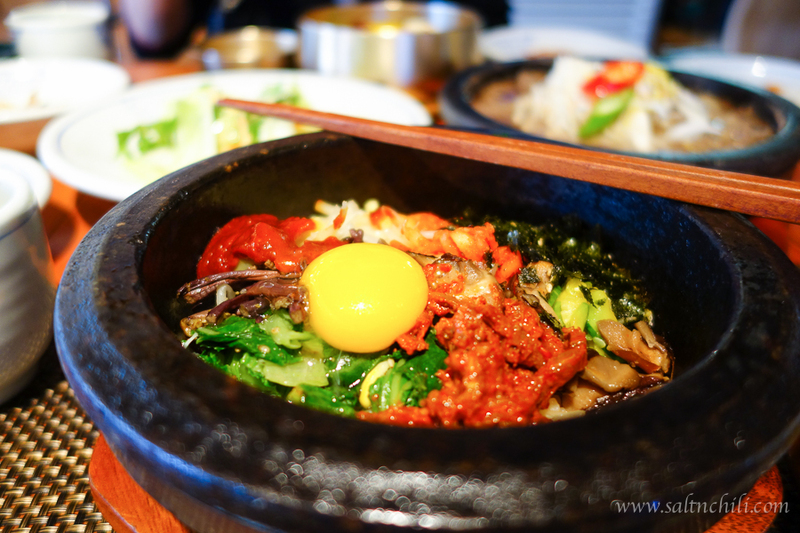 Gogung is a well-known restaurant that specializes in bibimbap and is recommended in many tour guide books and websites. I was a bit worried that it would be a tourist trap, but having read many good review’s of this place we decided to head over lunch after some morning shopping in Myeongdong. 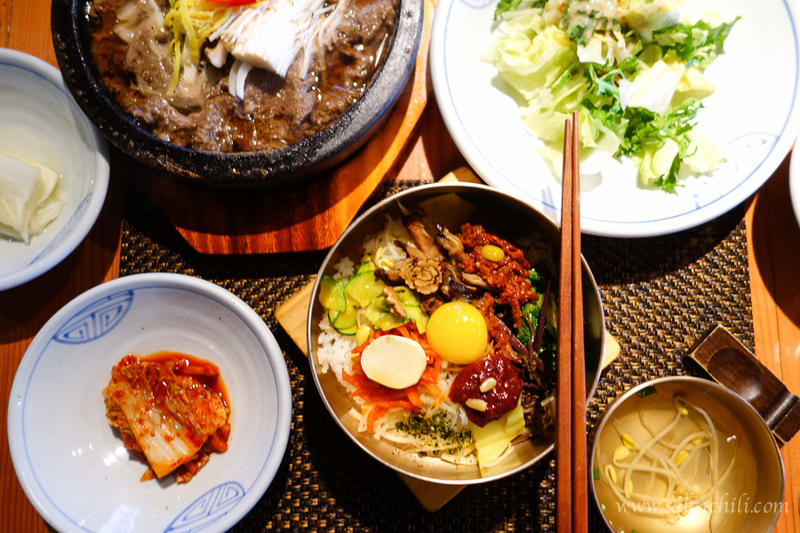 For a taste of both the Dolsit Bibimbap (hot stone pot) and Jeonju Bibimbap (traditional) we ordered the set that had one of each plus a Bulgogi dish. The meal was most definitely satisfying and delicious and proven to be not a tourist trap! But do note that it is a bit pricey for bibimbap. 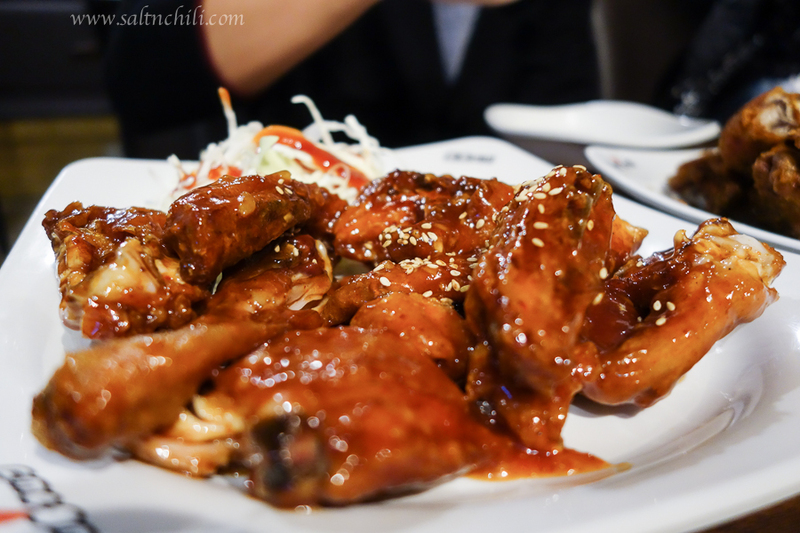 There was no way I was leaving Seoul without having some Korean Fried Chicken! So after we shopped off our bibimbap lunch we walked over to Two Two Chicken for dinner. 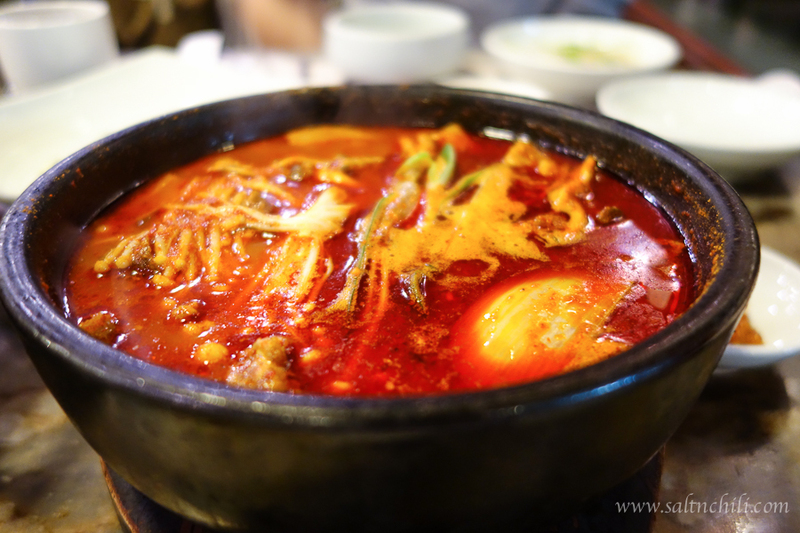 Located near the Pacific Hotel, this Myeongdong branch is very close to the metro station. We started off with a dish of half-and-half (regular fried chicken and sweet and spicy) and it was so good we ordered a second dish of their crispy and juicy fried chicken (regular). What we liked best was how the fried chicken wasn’t greasy at all. I guess twice frying the chicken does make the skin crisper and less greasy. 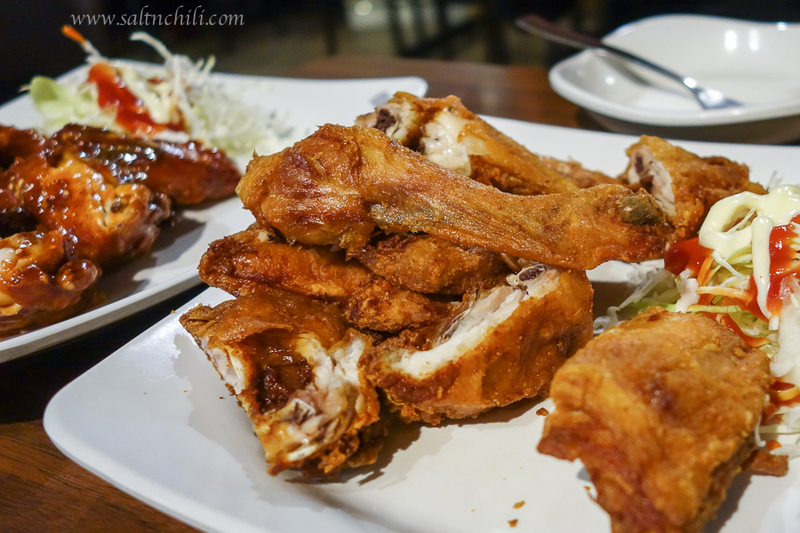 Korean’s really know how to make fried chicken! oh my god, I am just drooling looking at the photos of Samwon Garden!!! Hey there! I was drooling a bit when I was writing that post. Korean BBQ is sooo good! !